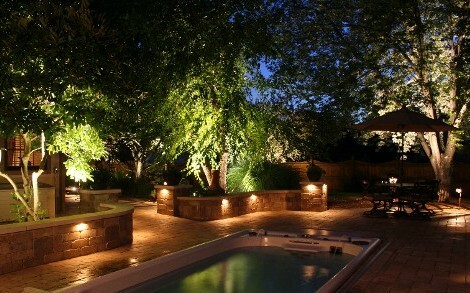 Nothing beautifies your home more than exterior lighting. Lighting provides that unique perspective to your home and provides the finishing touch to your outdoor living space while combining visual interest and outstanding curb appeal. Lighting can significantly expand your living area while extending your time for recreation, relaxation and entertaining outdoors while proving safe passage and transition throughout your property. When you choose RainMasters, you'll get a lighting system that has been designed and tailored specifically for your property. Our goal is to create a beautiful result that meets your needs perfectly. We can blend a variety of different lights and fixtures to achieve the effect you want. Our products will last for years and provide energy efficient lighting.